Step into the Dreamscape, a plane of visions and imagination created in the wake of New Vigil's transformation. As the factions gain insight into the new world's power, they must also be on guard for those who might abuse it for their own nefarious ends. Join the heroes of New Vigil as they explore the exciting possibilities that await them in the Dreamscape. New Insight resource and Dreamborn cards allows players to access Deam cards and other powers! 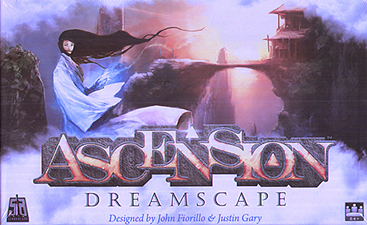 Playable as a stand-alone 1-4 player game, or combine with other Ascension games to play with up to 6 plaers!